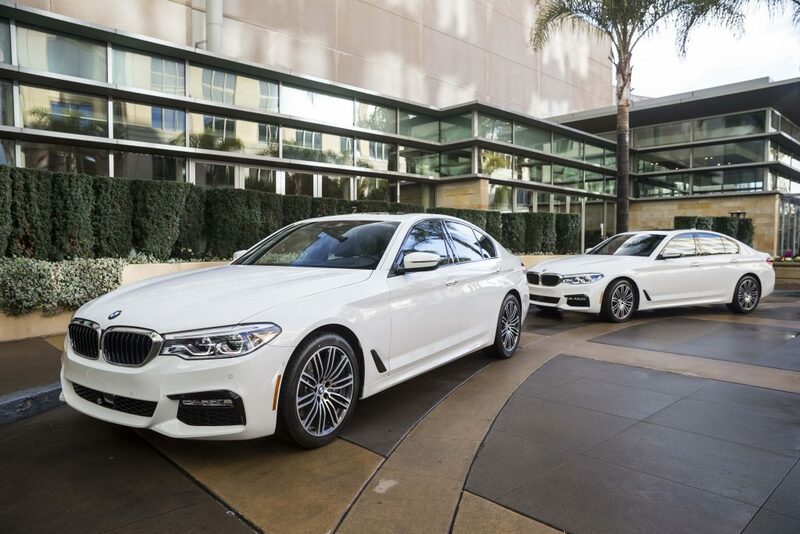 It’s always a seminal moment when presented with test drive opportunities of a BMW sport sedan while voyaging the beautiful coast of California for days at a time. Recently this exact scenario manifested which allowed me to journey from Silicon Valley to north of San Pablo Bay in Napa Valley behind the wheel of an Alpine White 2017 BMW 540i Sedan with the M Sport Package. Its 3-liter TwinPower Turbo inline 6-cylinder engine was both efficient and robust and vehicle handling impeccable, especially if you opt for the $3,200 Dynamic Handling Package. But the main storyline here is the implementation of an array of digital, autonomous, and connected technology systems such as Remote Control Parking which permits the operator to park the Bimmer using the key fob while standing outside the vehicle! Amazing. Karim is correct. 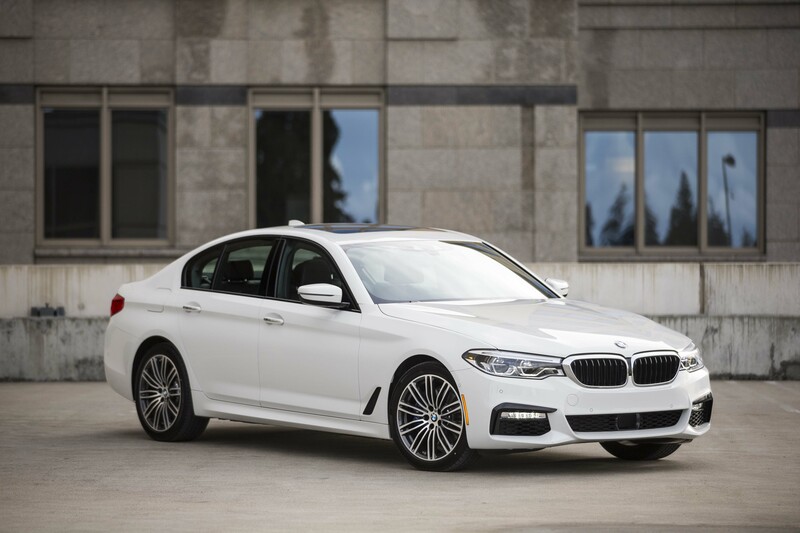 For example, the design stewardship of the latest generation 7 Series found its way into the all-new 7th generation 5 Series which continues to set the bar in the sport sedan category with remarkably distinguished traits. In dealers this month (February) the “new 5” is longer, wider and taller than its predecessor and is also lighter due to BMW’s implementation of high-strength steel, magnesium, and aluminum. The latest iDrive 6.0 features a touchscreen, touchpad controller, 7 programmable memory buttons, and live tiles; a new chassis and retuned power steering enhances driving dynamics; and Integral Active Steering ($1,150) improves the xDrive models. Moreover the optional $190 Gesture Control (also from the 7) monitors hand movements for various tasks such as accepting or rejecting a call or adjusting audio volume. The multi-colored Head-up Display (part of the $1,800 Driving Assistance Package) is 75% larger and displays an array of content which can become pretty annoying after a while. 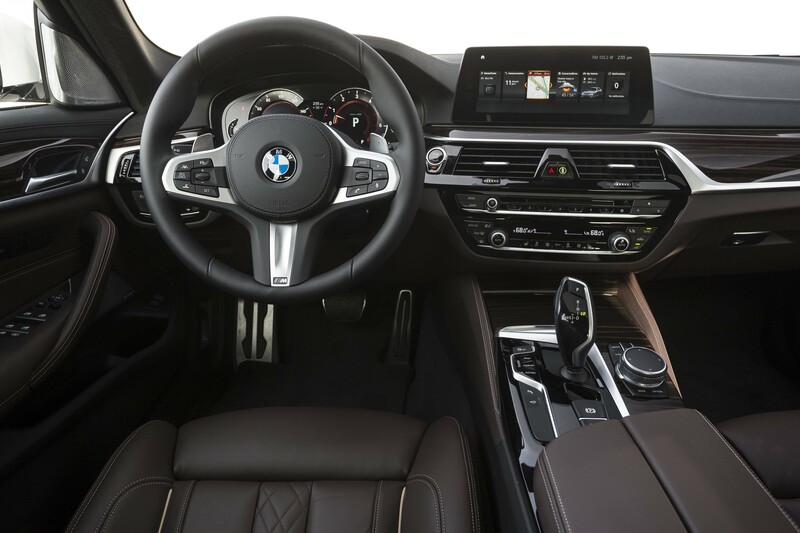 The totally reinvigorated interior also features an 8.8” Dynamic Digital Instrument Cluster, wireless charging, and a WiFi hotspot that can connect 10 devices. 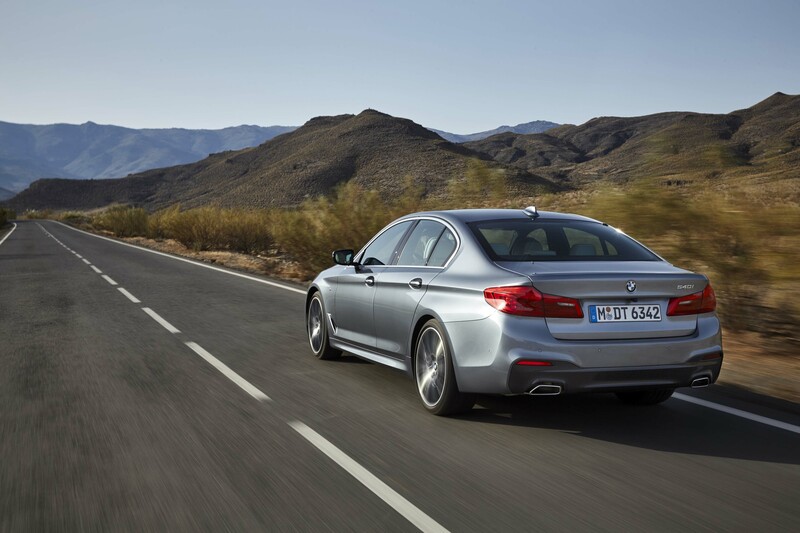 Literally, the new 5 Series Sedan, like a few other vehicles in this field — such as those from Audi and Mercedes-Benz — plays far bigger roles than just driving. These cars are your virtual assistants and are here to streamline the hectic responsibilities of life. It may be inundating for some but most will welcome the new age capabilities. I love it and found the technologies to be very accommodating, especially the Luxury Seating Package ($1,600) which allowed me to tap into iDrive to set up a full body massage for the long drive to the Carneros Inn Resort and Spa in Napa. And I’m not talking about an insincere rub here and there, the BMW 5 Series gets into your muscles like a deep tissue, hot rock massage! Introduced to the U.S. in 1975 the 5 Series has graced us with true exemplars for sporty driving and mature amenities from stalwarts like the E12 and F10 to name a few. With approximately 1,241,000 units sold here you can see why there is such a love affair with this German number. For launch BMW will bring us the 2017 530i Sedan ($51,200), 2017 530i xDrive Sedan ($53,500), 2017 540i Sedan ($56,450), and the 2017 540i xDrive Sedan ($58,750) in a total of 13 colors with 11 metallics that are $700 options. Owners can energize their vehicles with hues such as Mediterranean Blue Metallic and Atlas Cedar Metallic or keep it sinister with a Carbon Black Metallic. My test vehicle’s MSRP was $56,450 but topped out at a whopping $81,910. Many items are included but BMW provides so many capabilities through packages and individual upgrades that it would be challenging just sticking with the basics. The aforementioned Dynamic Handling Package and the M Sport Package ($2,650) with the thick M Sport steering wheel, M Aerodynamic kit, lowered M Sport suspension, and 19″ M Double-Spoke Wheels are “must haves” for me. Although a full M car is spectacular, I don’t need it for everyday driving. But I do want my BMW to look like one! Power came easy on the banked roads in route to Napa from the BMW Group Technology Office in Mountain View, CA where I learned a bit more about the research role of the German automaker. A BMW Connected App, Amazon partnership with Alexa, which can remotely lock your vehicle, Remote 3D View, Advanced Real Time Traffic Information from the 10.2” touchscreen, and voice command are just a few reasons why they are based in the Valley of adaptive technology. But I really discovered the power and intent of the 3-liter — inheriting 35 more horsepower for a total of 335-horsepower and 332 lb-ft of torque between 1,380 and 5,200 rpm — when I was rushing to SFO due to unexpected traffic which the vehicle alerted me to. Paired with the 8-speed Steptronic automatic transmission, I engaged Sport mode and shifted intensely with the steering paddles until I arrived safely and on time. Bob Marley kept me entertained from the stimulating $4,200 Bowers & Wilkins (B&W) 16-speaker and 1400-watt surround sound with diamond dome tweeter technology. 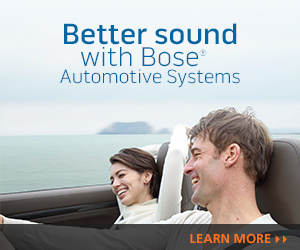 Harman Kardon designs the system in collaboration with B&W engineers. The 530i receives BMW’s 2-liter 4-cylinder inline engine (turbocharged and direct injection) with 248-horsepower and 258 lb.-ft. of torque. The sporty business sedan provides all the utensils needed for a full-course drive. Yesterday it was a vision and today it’s a reality. Still, there are more 5 Series renditions to come including the 530e iPerformance plug-in hybrid and the feisty M550i xDrive Sedan. Stay tuned folks!